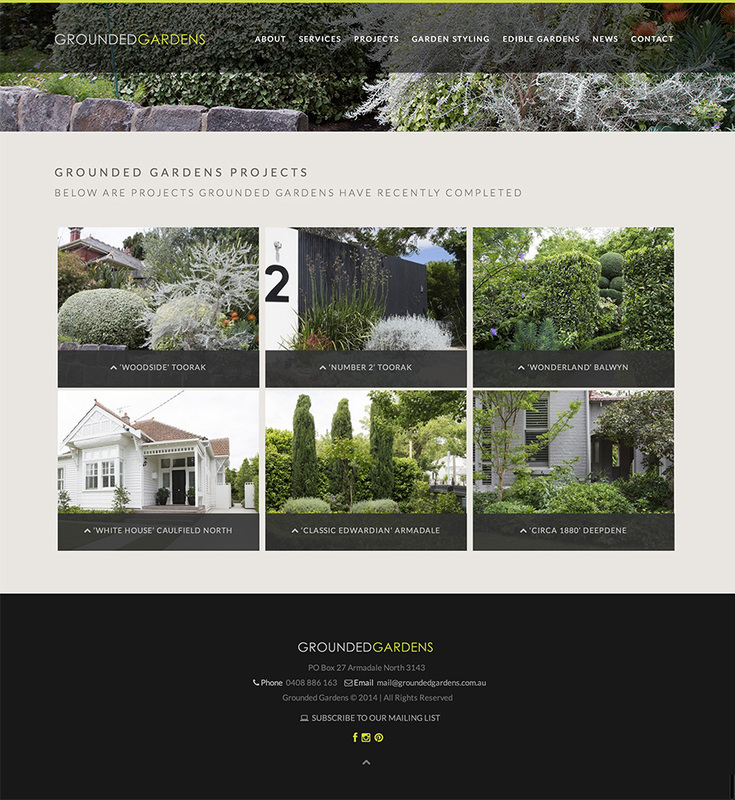 Grounded Gardens is a garden design, construction & maintenance company is based in Armadale, Melbourne. They create gardens in spaces large and small; transforming inner city courtyards & suburban backyards for established and new homes, country and coastal properties, permanent or holiday homes. Established 10 years ago by Cameron Paterson, Grounded Gardens has grown to attract home owners who have a love for their outdoor spaces. By working closely with clients to understand their lifestyle & tastes, by installing and maintaining the gardens they design, Grounded Gardens are known for our finely tuned and appealing landscape service. The Story Group built a easy to use content management system so the company can manage their content and easily create new case studies as they become available. Grounded Gardens also manage and send regular newsletters to their large subscriber base. Users can subscribe to the mailing list via the site and manage their preferences.